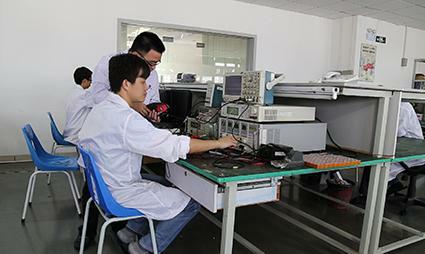 We are located in Shenzhen with convenient transportation access. 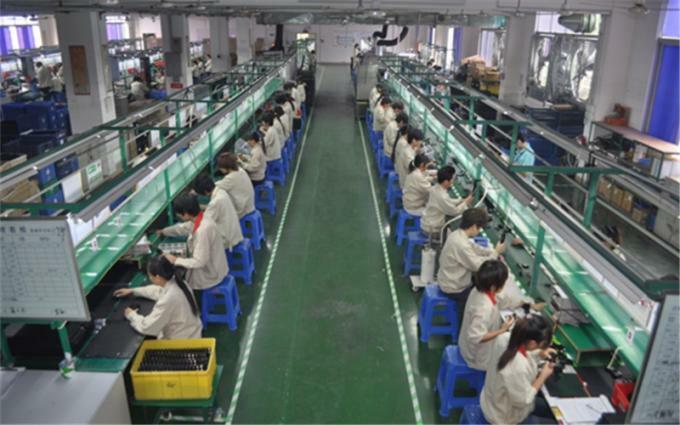 We have 1500 square meters with 4 production line. 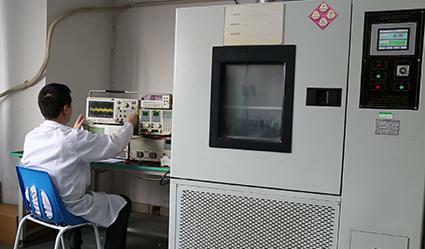 We have all kinds of frequency spectrum, SMT, laser marking machine, High-low temperature test chamber. vibration measurement, etc. 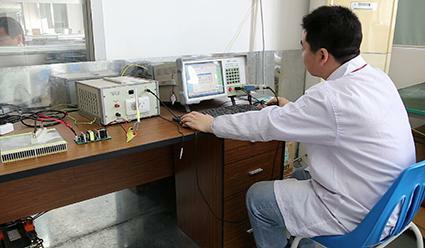 We test and control the quaity of our cell phone Signal jammer & Wireless RF signal Blocker with these equipments to make sure all our products can work stably in different hard conditions. We have over 50 experienced RF workers with capacity for Portable handheld signal jammer / 10000 units/Month, Desktop middle power cell phone signal jammer / 8000 units/month, High power prison jammer and outdoor waterproof jammer / 3000units/month, Full band VIP DDS RCIED bomb jammer, Vehicle mounted jammer, manpack briefcase jammer, UAV (unmanned aerial vehicle) Jammer / 600units/month. Welcome to visit to start a long term win-win cooperation. 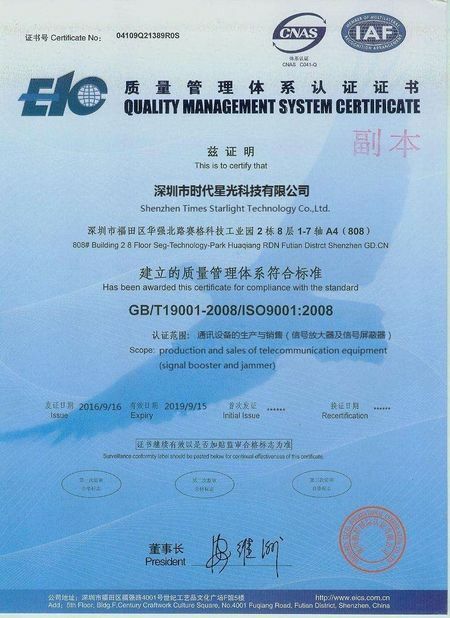 Shenzhen Times Starlight Technology Co.,LTD is a professional OEM/ODM manufacturer for wireless network communication products ,including wifi jammer, GPS jammer, Cell phone jammer, Drone jammer, Network jammer, Prison jammer, Outdoor Jammer, RCIED Bomb jammer, Customized jammer and All kinds of wireless defence products. 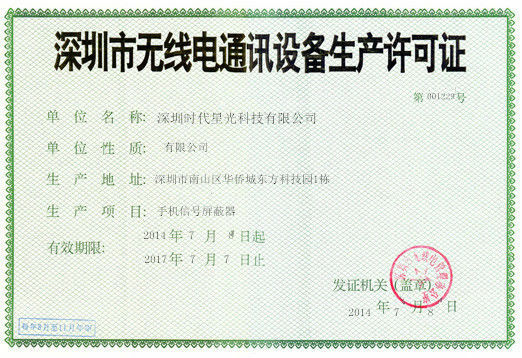 The company was established on 2001, and located in Jindi Industry Park, Futian ,Shenzhen, China. We are engaged in ODM and OEM service to the customer all over the world .More than 30 professional high-tech R & D engineers focusing on the technology development of all kinds of wireless defence products such as drone defense gun, mobile phone jammer etc. We have nearly 100 employees, more than 1,000 square meters of modern office space and 2,000 square meters of modern dust-free workshops. The factory is equipped with world-class manufacturing equipment (including 3 high-speed automatic SMT production lines, 2 RF test integrated production lines, 2 product assembly and inspection production lines) and product testing equipment, and it has the ability to produce 100,000 sets of OEM products per month to offer customer competitive price ,quick lead time , strict quality inspection ,intimate customer service. We uphold the business philosophy of “professionalism, innovation, efficiency, excellence, and win-win cooperation”. We are sensitively to the market demands and quick response , focusing on providing cost-effective ODM/OEM products and high-quality customer service to customers at home and abroad. Looking into the future with a global mind, we will closely follow the pace of global RF wireless communication development and strive to become a world-class smart wireless network jammer high-tech enterprise.